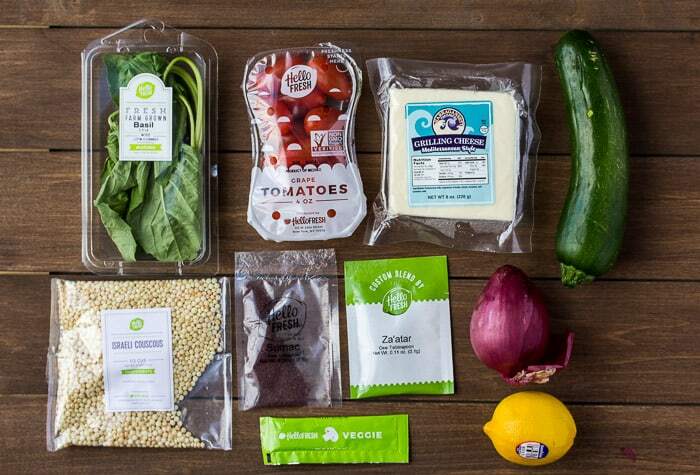 This Vegetarian Hello Fresh Review includes a review of 3 meals and all you need to know about the Hello Fresh service! I’m happy to report that my second experience with Hello Fresh went much better than my first Hello Fresh review. My box arrived on time and all of the recipes were exactly what I wanted. 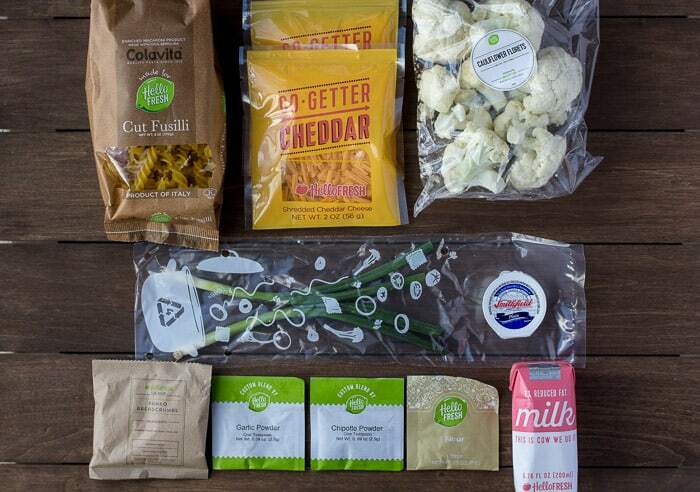 Hello Fresh is very similar to most other meal kit subscriptions available. They offer different plans with different recipe options each week. This review is of Hello Fresh’s vegetarian options. Each week there are 3 vegetarian recipes. For 2 people, the cost is $59.94/week and for 4 people it’s $119.88/week. One down side to this service is that if you don’t like all 3 choices, you have to either switch to another plan, or skip for the week. The Classic Plan is the same cost but with an additional option for 2 people to choose 4 meals for $72.92. The Family Plan is for 4 people. You can choose either 2 meals for $69.92 or 3 meals for $104.88 each week. Delivery is included in the price and you always have the option to skip or pause your account. In all honestly, I find their whole process of choosing meals, seeing upcoming menu’s, attempting to find costs, and viewing your schedule way more complicated than it needs to be. This might actually be the one thing that keeps me from ordering from them in the future. It’s such a hassle and it’s a shame because the food I’ve had has been really good! With that said, let’s get into the recipes. 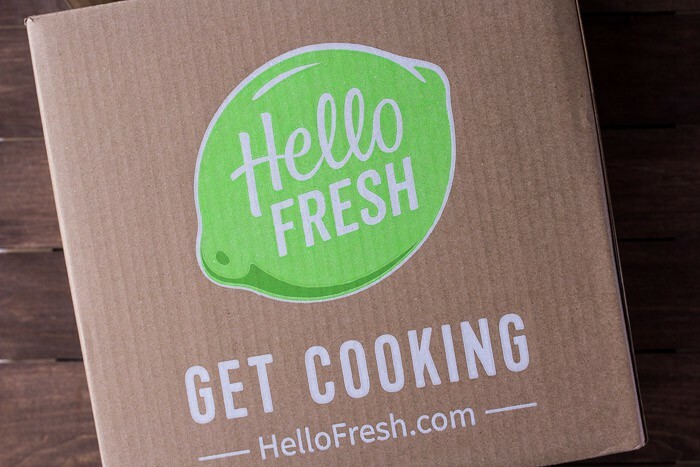 Hello Fresh ships very similar to most other similar services. The food arrives in a well-insulated box, with an ice pack at the bottom. Proteins and perishable items are kept at the bottom to ensure they stay fresh during transport. 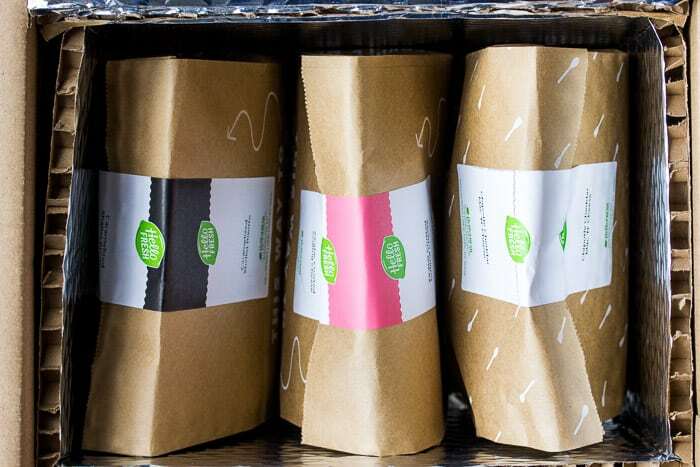 Meals are separated into labeled brown paper bags. After last week’s box showing up 3 days late, I switched my delivery from Saturday to Tuesday (my preference anyway). My box arrived on time and everything was cold and in perfect condition. 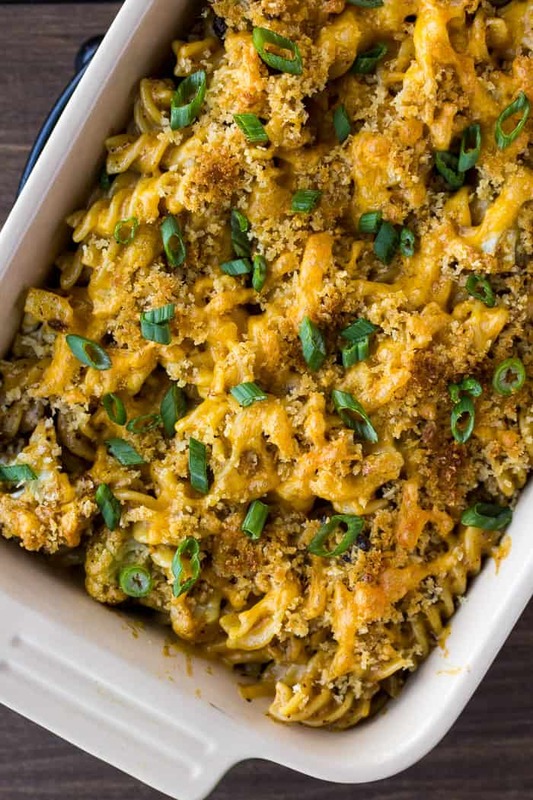 Since I’ve been on my month-long break from low carb dieting, I’ve been a bit obsessed with macaroni and cheese. I also love spicy food, so I was looking forward to trying this recipe! This meal was super easy to make and didn’t take long at all. I accidentally threw in all of the chipotle powder (I thought it was the garlic powder!) and thought it was going to be too spicy, but it wasn’t at all. The chipotle flavor definitely comes through, but I could have handled even more! I actually got 3 servings out of this recipe. I find pasta to be heavier and more filling to me now that I don’t eat it very often. The cauliflower was my favorite part and I’m thinking that a recipe for a cauliflower version needs to happen soon! I was so intrigued by the concept of grilling cheese that I didn’t even pay attention to what else came with this recipe! Grilling cheese is just that, cheese that you slice and grill. The outside gets crusty and the inside get a bit gooey, but it’s doesn’t melt like most other cheeses. I’m hoping I can find it locally because it’s a great option for when I’m back to eating low carb. 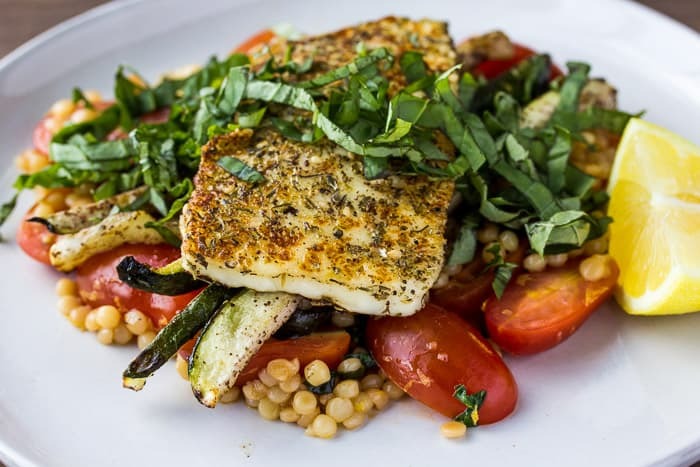 The base of this recipe is a really flavorful couscous, topped with sumac roasted vegetables and grape tomatoes. It paired so well with the cheese and the herbs of the za-atar mixture! Just delicious! Again, this recipe was incredibly easy to make and didn’t take more than 30 minutes. Give me all of the risotto! I love it! If you know me at all, then you know I really don’t like onions. However, shallots are a-okay in my book. Especially when they are roasted in balsamic vinegar and mixed into a perfect risotto! I didn’t care so much for the zucchini on top. It just seemed as if it was missing something. I maybe would have preferred some chopped walnuts or additional cheese on top, instead. 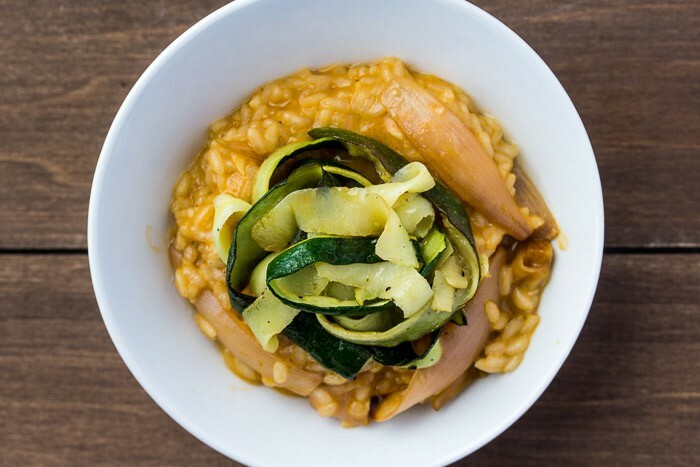 This recipe took a little longer, because risotto just takes more time to make properly. You will be standing there stirring it while occasionally checking on other elements of this recipe, but it’s all worth it in the end! Overall, I am really happy with the recipes in this Vegetarian Hello Fresh Review. The vegetarian options were all recipes that I knew I would like and they were all easy to make. The serving sizes were what I expected and the cost is on-par with other similar services. I do wish they would re-vamp their website to make it more user friendly. 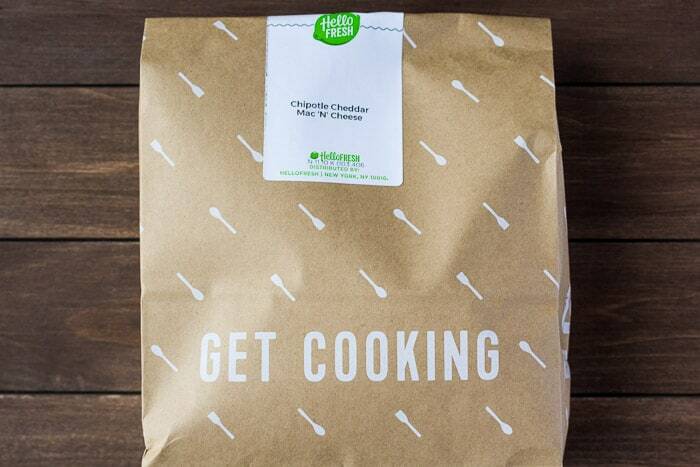 I’m sure if you order from Hello Fresh regularly, you’d get used to it, though. I won’t be ordering again for awhile. They don’t offer many, if any, meals that are lower in carbs and don’t seem to cater to any particular diets except for vegetarian. 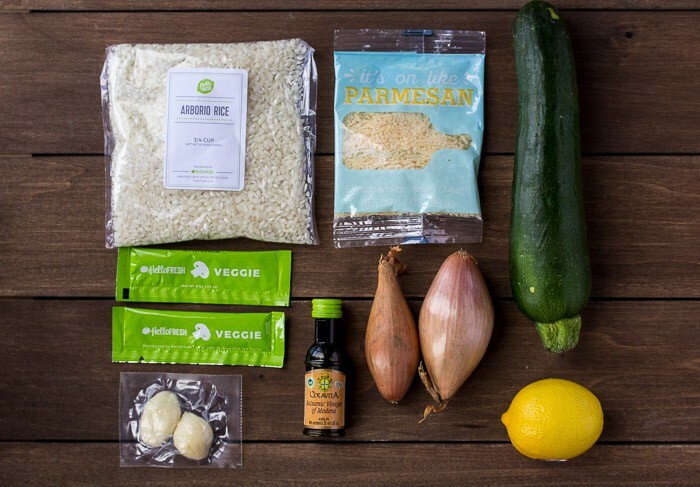 With all of that said, if you’re a vegetarian (or a carnivore who doesn’t follow any particular diet), and want to give Hello Fresh a try, you can save $30 off of your first box HERE.